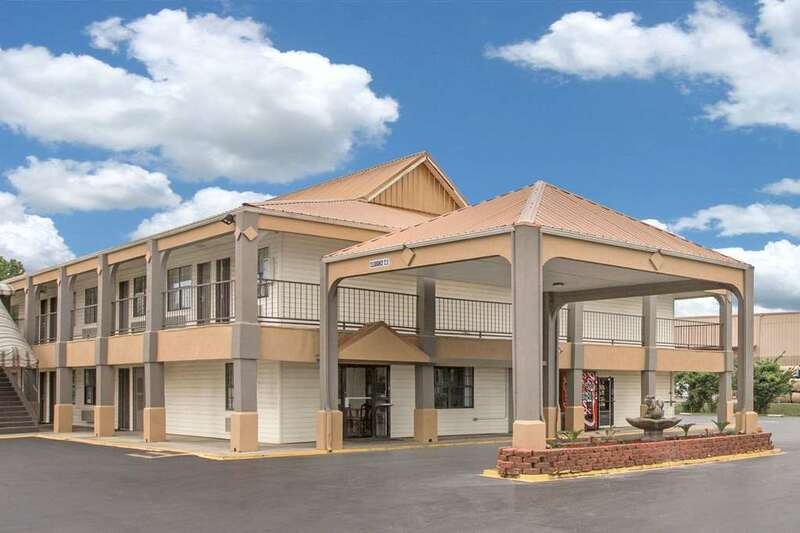 Free High Speed Internet Access Complimentary Daybreak Breakfast served daily Easy Access to I-20 Free Local Calls RV/Bus/Truck parking Free USA Today Non-Smoking and Smoking Rooms One pet per room is allowed for a non-refundable charge of 10USD per night. 25USD Refundable Deposit and Pet Sanitation Fee is 50USD if applicable. Golf Nearby Just a few minutes to all local attractions and Downtown Monroe Facilities for the physically challenged Fax and Copy Service Across from Pecanland Mall University of Louisiana at Monroe Jacuzzi Suite available Monroe Regional Airport only 2 miles Shopping nearby at Pecanland Mall that hosts many stores such as Belk, Sears, JCP, Dullards, American Eagle Outfitters, Kirklands, Radio Shack and many more. This facility is located near many fine eateries such as Ronin Steak House and Hibachi, Olive Garden, Red Lobster, Copelands Cheesecake Bistro and Applebees. All are located within 5 minutes of the hotel in the Pecan Mall area. NOTICE: Road construction on exit intermittently. If exit ramp is closed traveling I-20West take exit 118 A and loop back Onto Interstate 20. Take Exit Garrett Rd.